As I said in my previous post, I feel Northern Ireland is my country of heart and I would do anything in my power to see it doing well. Buying local is one of the easiest and yet the most efficient ways to support the local economy. 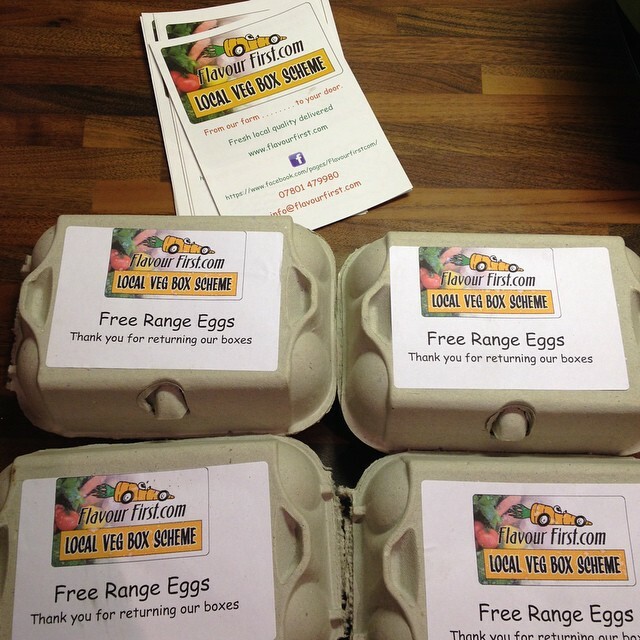 So I was thrilled when, at the end of January, we were asked to review Flavour First, a small local farm based in Donaghadee and delivering veg, fruit and salad boxes in counties Down and Antrim. We were sent loads of yummy eggs of which we made very good use, as you know, Emma and I can eat eggs in every prepared form and for every meal :-). We were asked to include them into a Romanian recipe, if possible. In Romania, we use eggs for simply everything. From scrambled eggs for breakfast to deviled eggs for special holidays to coating schnitzels at dinner time. Not to mention all kinds of sweet and savoury recipes! So, we used ours in everything and tonight, we used the last ones for pancakes and crepes. Emma asked for both :-)! Flavour First sells their free range dozen at £2.80 and if you love good eggs as much as we do in this home, I would wholeheartedly recommend them! Disclaimer: we were sent four boxes of eggs to review. No monetary payment was made for the purpose of this review. The views expressed in this post are truthful and our own.